Compact sound systems can be found in just about every discount department store in existence. 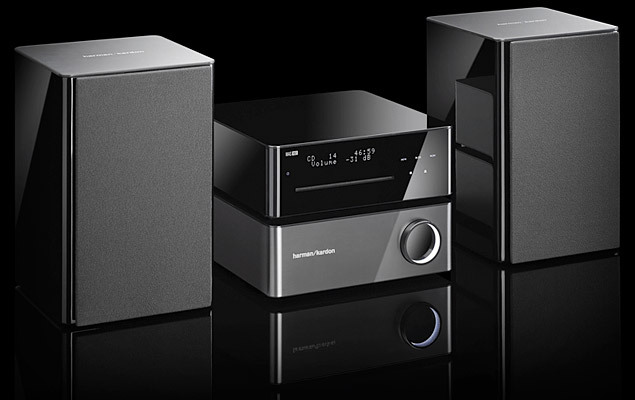 However, if your ears are more tuned to quality rather than budget quality, Harman Kardon has a compact sound system for you. We first noticed the MAS a couple months ago, and after doing some comparison shopping, we’ve fallen in love with its simple, yet elegant design. The Harman Kardon MAS 102 features the standard FM tuner (that’s right, there’s no AM), CD player, dual USB ports, analog, two coaxial, and two digital inputs. While the MAS is not particularly feature heavy, it does sound absolutely amazing for its size (12″ X 24″). It is powered by a 65-watt per channel amplifier, which delivers big distortion-free sound using only a pair of 5-inch woofers and 1-inch dome tweeters. The MAS 102 is not a bad way to invest one-thousand dollars. Get yours here.